I have always been a kid when it comes to Christmas. I come from a very large family. Although we did not have a lot of money as I was growing up, somehow my parents always made Christmas very special for us. 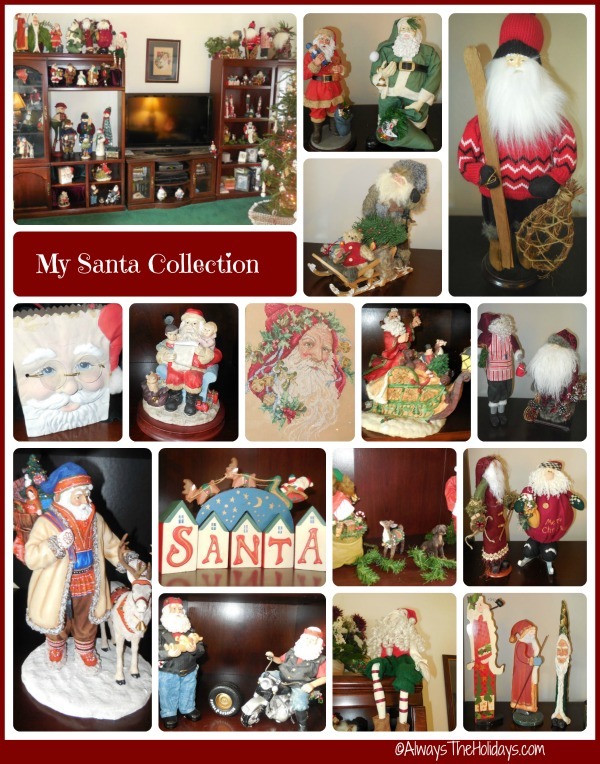 I carry that traditon to this day by being what my husband calls the “Christmas Fairy.” I thought I would give you an idea of what our home looks like during the holidays by sharing photos of my Santa Claus Collection. 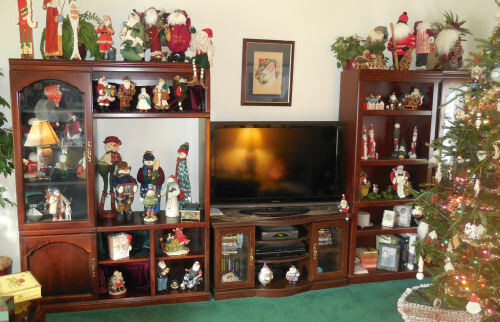 The first photo shows our wall until with My Santa Claus collection on it. It takes me days to remove everything that was on this unit and store it away for the month? Is it worth it? Yes, indeed! We get to enjoy that collection each night when we watch TV. This is my pride and Joy. 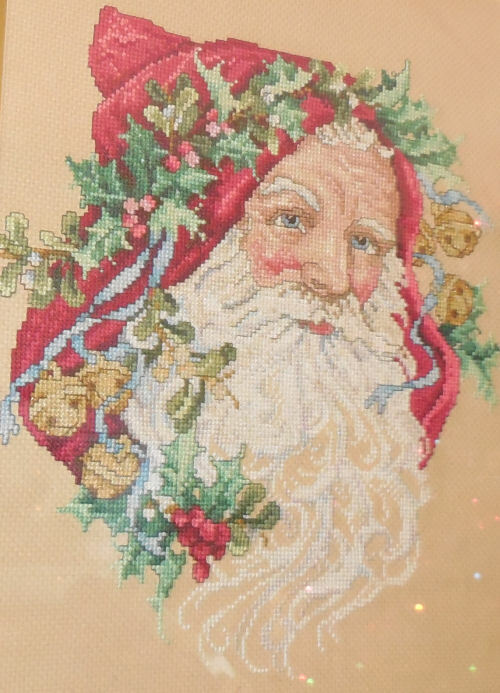 I made this needlepoint about 15 years ago when my eyesight was still allowing me to do close up work. I just love it. I have it framed and it is my favorite part of my Santa Claus collection. 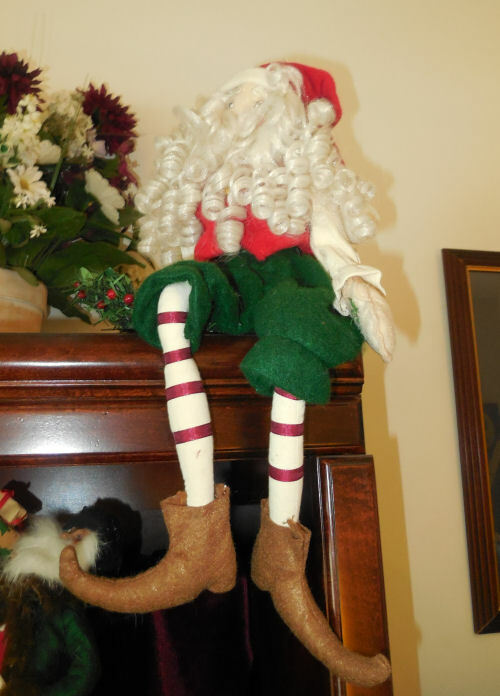 Little did I know when my sister sent me this jolly elf on a shelf that another elf would be so popular this year. Truth be told, I like my Santa Claus elf on a shelf much more than the current one! Another little Santa Claus Elf on a shelf. 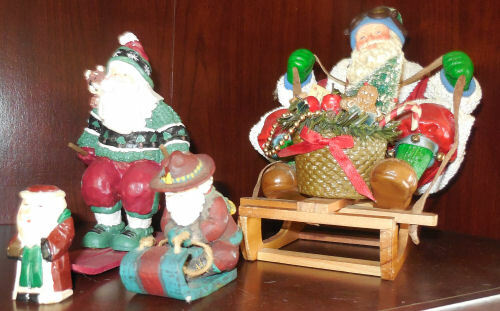 As you can see, I am fond of sitting Santa Claus figures. 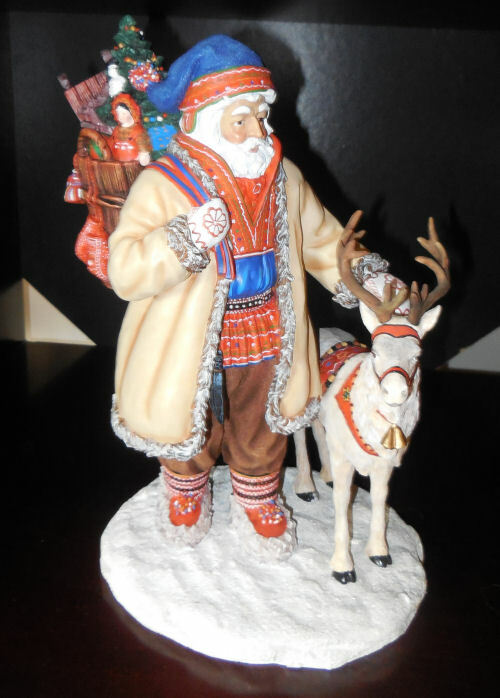 I have had this collectible Nordic Santa Claus for about 14 years. He is a treasured gift from my husband. I’m always so worried I will break him when I put him out each year, since he cost a pretty penny! The detail is fabulous. 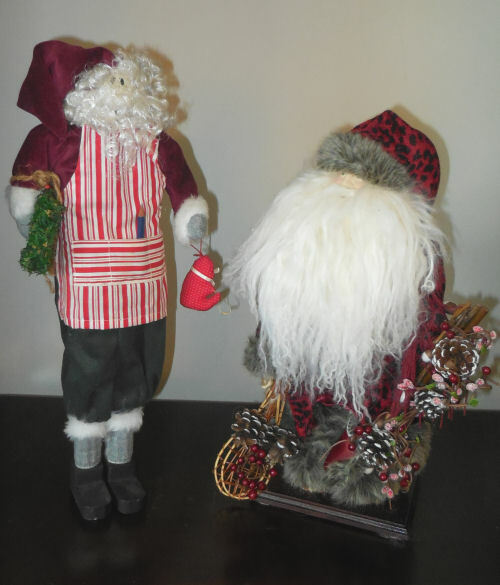 Two more Santa Claus figurines from my husband. He knows that I love quirky Santas. I don’t know where he finds them but I always love them. 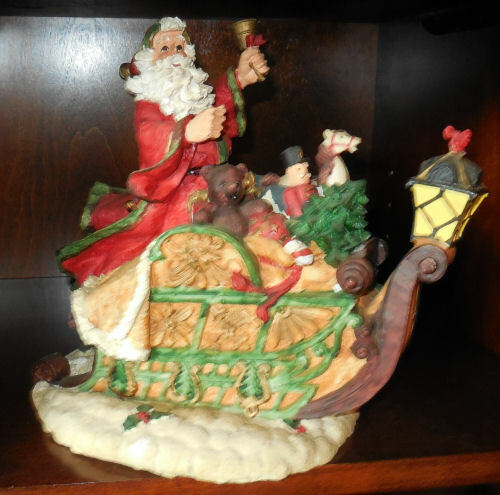 These two porcelain Santa Claus figures have been in our home for almost 20 years. They were gifts from my husband when my daughter was just a very little girl. The Santa on the left is one of my favorites. 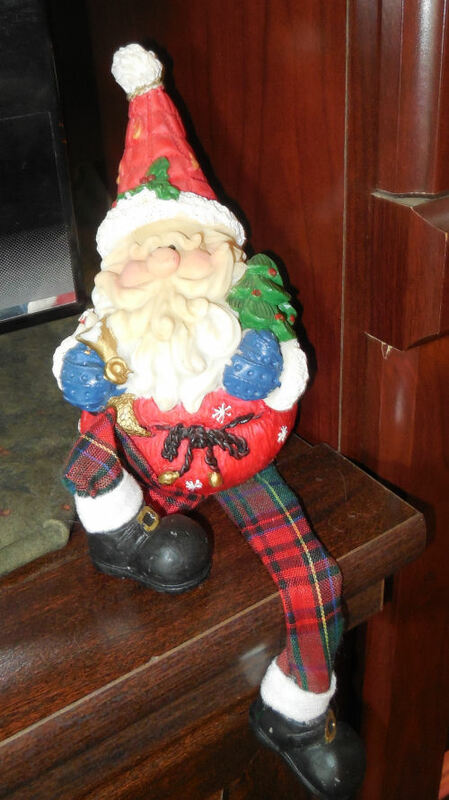 He is a gift from a lady that I taught pre-school with when my daughter was four years old. 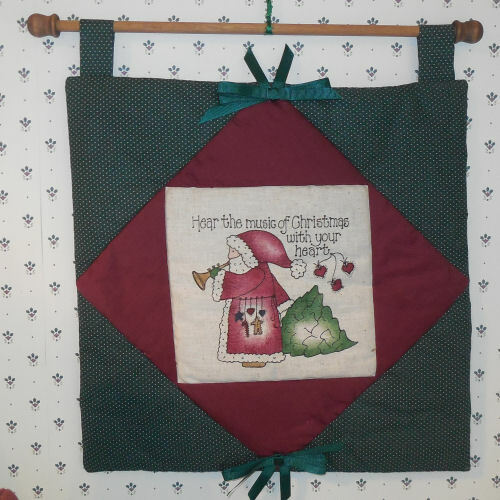 This pretty wall hanging features Santa Claus on cloth. 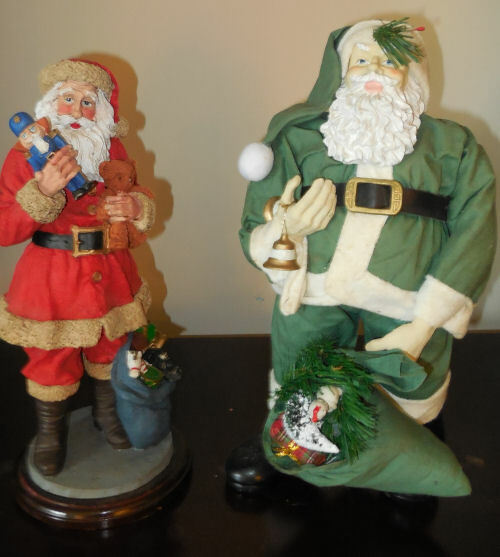 These Santa Claus figures are the largest ones in my collection. They stand about 2-3 tall. These were all gifts from my mother. 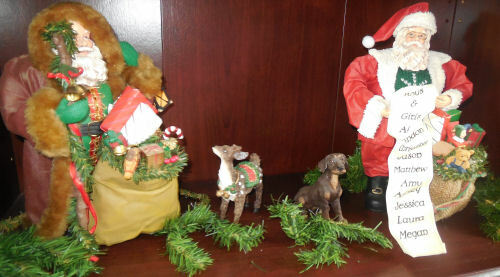 The four on the left are Softique Santas and the one on the right comes from Department 56 collectibles. 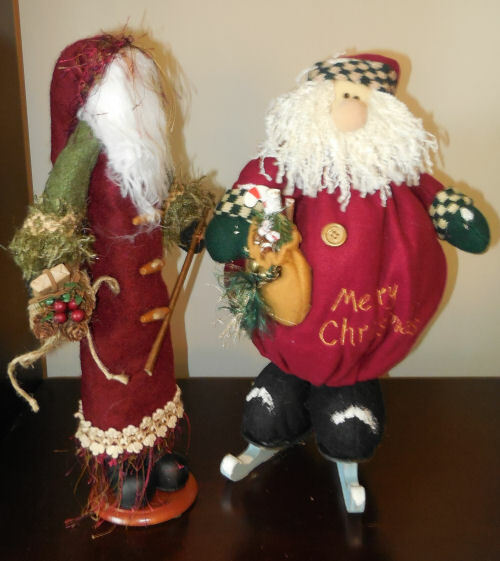 Since I come from Maine and used to sled, toboggan and ski, these Santas are near and dear to my heart. 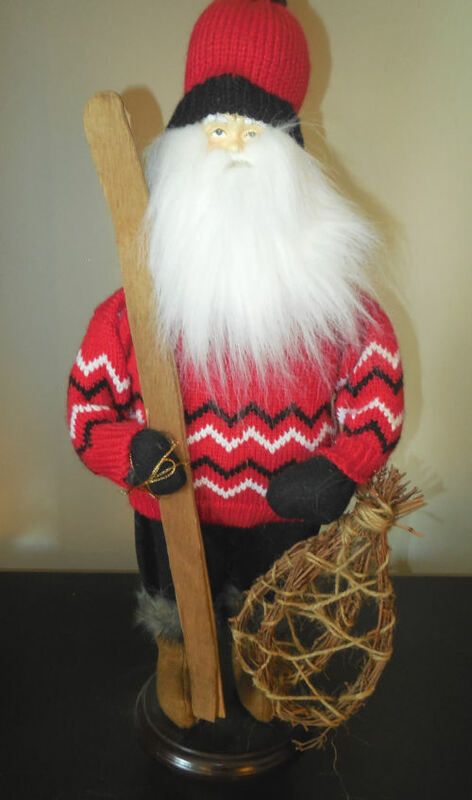 Another Skiing Santa Claus Figure. His head has come off and needs gluing but I never seem to get around to that chore! 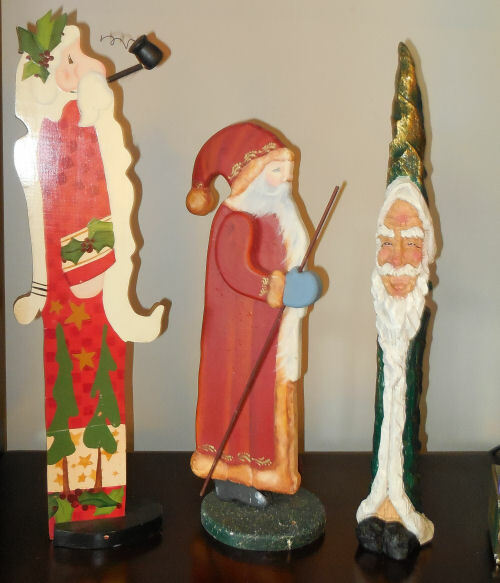 I had a thing for Pencil Santas for several years. I have downsized them and these are the ones that remain. Another gift from my husband. This one is very heavy and about 20 years old. When Jess was little I used to read her a different Christmas story each night in December. This Santa is one I call my reading Santa. I have a fondness for all Midwest Christmas decor. It reminds me of my childhood home, which was rustic and country at times. 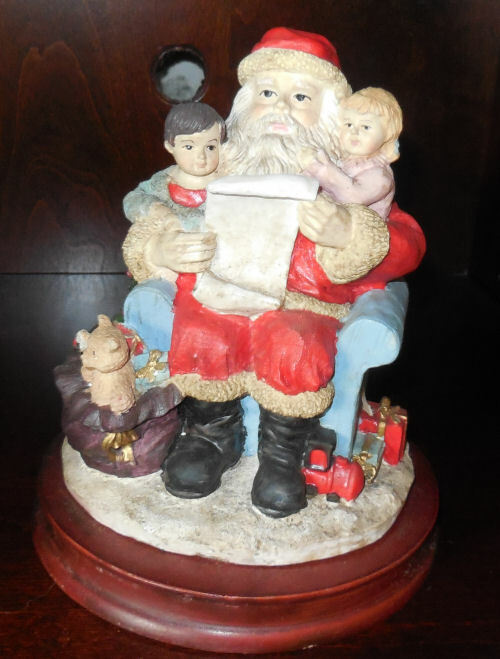 This pair of Santas was a gift from a friend of mine when Jess was little. The one on the left has a list of good girls and boys and Jessica is on the list! These chubby Santas are so cute. 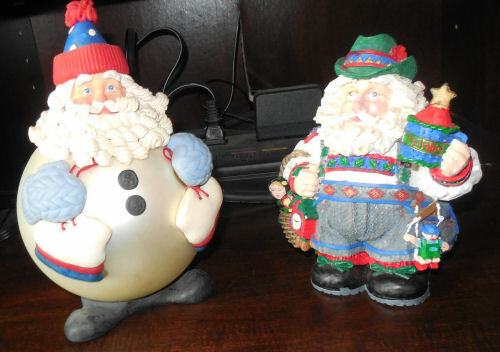 The one one the left is an over sized Christmas ornament, but I’ve always used it as a figurine. 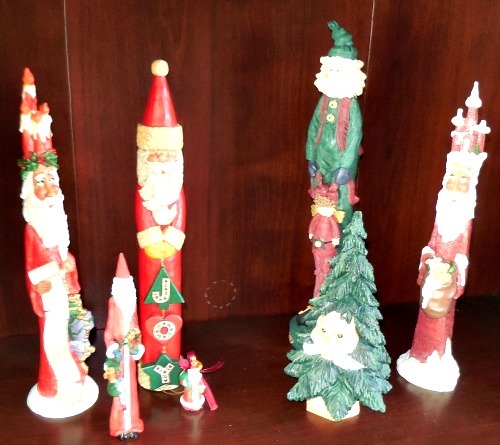 I hope that you have enjoyed looking at my Santa Claus collection. 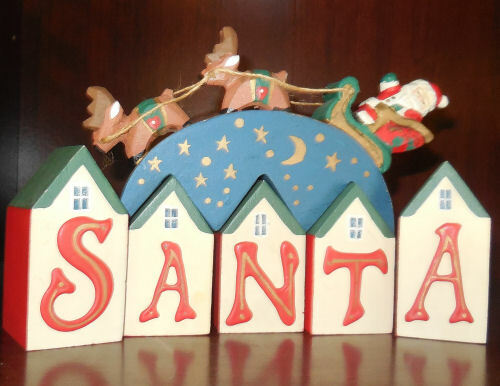 If you have Santas that you would like to share with me, please visit my Holiday page on Facebook and upload photos to the page. I would love to share them with the fans of the page!